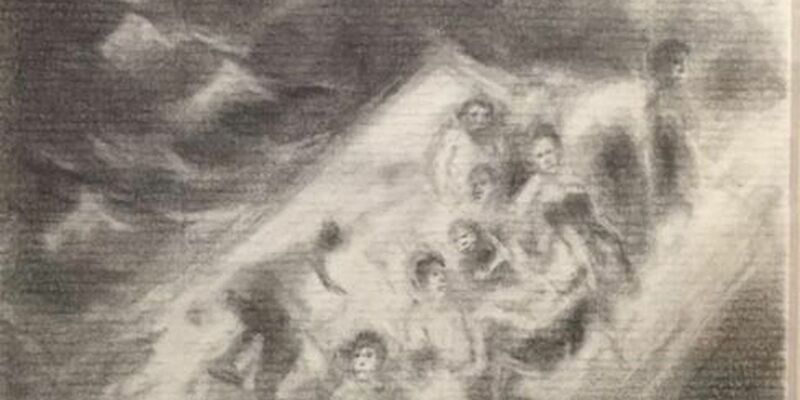 LAUREL, MS (WDAM) - The charcoal artwork of USM Professor James Meade is currently on exhibit at the Lauren Rogers Museum of Art in Laurel. In an artistic communication with Old Masters Rembrandt and Goya, James Meade produces images with rich, velvety surfaces on textured paper. First, he covers the surface with powdered graphite. His subconscious then guides his hand as he selectively removes the graphite using an eraser and a blending instrument. and bright lights in night skies are Meade's responses to memories from his childhood, Hurricane Katrina, the Hattiesburg tornado and the current migration crisis. In this exhibition, framed works from 2014 and 2015 are accompanied by sketchbooks that contain daily personal observations, both text and image-based. The exhibit opened March 1, and it runs through May 8. Admission to the museum and gallery is free. Meade is professor of drawing and painting and foundations at The University of Southern Mississippi. He began teaching at USM after receiving a master of fine arts degree in drawing from the University of Georgia, in Athens, Georgia, in 1971. During his career as a professional artist, he has had more than 115 exhibitions in the United States and abroad. His work is in collections in the United States, Korea, Holland, Italy and Japan.